Here at Lujack’s we have one of the Quad Cities largest used car inventory. With well over 1,000 used cars in stock we understand that the process of picking the right car for you can be quite overwhelming. So we have decided to make it easier for you by providing you with as many history reports you need. This will allow you to make the best decision for you rather than being “sold” a used car. 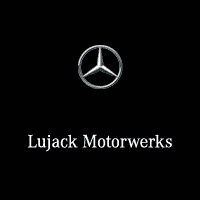 Visit us at Lujack’s today and drive away in the used vehicle that fits you and your lifestyle.